VNext – click the link to the vNext demo. Storyboarding– A plug-in for PowerPoint that connects the creation and review of story boards with the rest of the team. Backlog & Sprint Planning– New web based product backlog, sprint planning and task board. Client Feedback –New tooling support to invite and receive feedback from stakeholders during development. Team Navigator– More time ‘in the zone’, through improved experiences for day-to-day tasks. 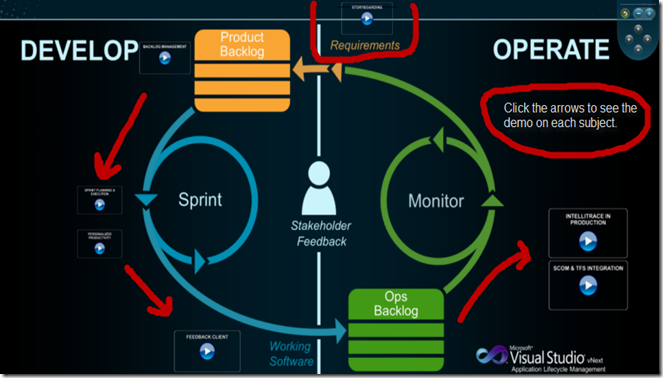 Aligning Development with Operations (Intellitrace in Production) – Increased connections and insight between the operations and development teams lowering the time it takes to fix a bug in production. SCOM & TFS Integration – Software Centre Operations Management now integrated with TFS. Whitepaper: PDF whitepaper which reinforces the value propositions for what we’re delivering in vNext. Why Software Fails - your not using TFS2010 &amp; Test Manager? Has this changed, in my opinion not enough yet. As a strong advocate of Agile and a user of Microsoft TFS2010 and Test Manger - the communications is available we just need to get better at it and share the responsibilities as a team.